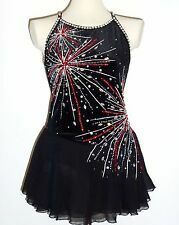 My daughter wore that for competition when she was 10 years old and 65-70 lbs. Size 260 (appr. 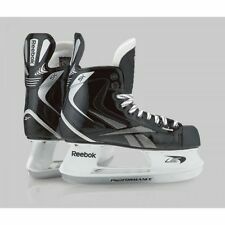 7-7.5 US) Skates Risport RF3 Super / JSW Stealth blades size 10"
Skates look used but in good condition. They come with Coronation Comet blades. 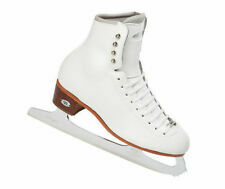 Skates are suitable for beginner up to professional level. 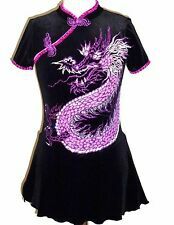 Very comfortable dress for competition or test. 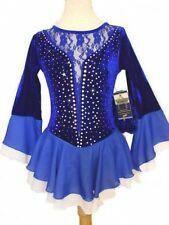 Used Jackson competitor figure skates, size 5 1/2B. Very good condition with light toe skuff and light rust where blade fastens to sole. Comes with skate guards.